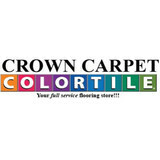 Crown Carpet Service Inc. is a full service flooring store. We have a HUGE showroom with a wide selection of products. Whether you are looking for Carpet, Tile, Laminate, Hardwood, Window Coverings, Countertops or Cabinets, we have you covered. 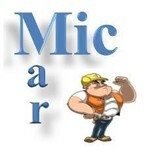 But our service doesn't stop there, we also provide professional installation on all our products. In addition we also provide Carpet and Tile/Grout cleaning to help keep your new purchase looking new and beautiful for years to come. Since 1950, Coxon's is a family-owned and operated business. Coxon's Floor Coverings provides flooring solutions to both residential and commercial customers. Our large selection offers many options for your home or office. Located in downtown Casa Grande, we supply clients throughout central Arizona with superior service and quality merchandise, a tradition that has helped the company grow and strive for over sixty years.We are honest and we don't supply you with hidden charges. The quote we provide free of charge is exactly what you will pay. 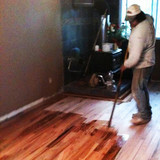 We are your one stop shop for all your flooring needs. We’ll complete the job professionally and in a timely manner. Give us a call today! We are excited and eager at Dynamic Floors Flooring America to get to know you and help you with all of your floor covering needs. We offer in-home service and are very experienced in the commercial area. We look forward to meeting you at our Phoenix, AZ, location. Thank you for your continued business throughout the years. American Sales is located in the Payson and supplies all types of floor covering, landscape and hardscape. In addition to kitchen cabintery, granite countertops and bathroom supplies. Hello, My name is Sid and I have been in the flooring business for 7 years now. I am educated in all different types of flooring and have experience in designing showers and kitchen back splashes. We are located in the north east mesa area but have a design center that you can expect to see in Scottsdale or Paradise Valley. There is no job to or small for me to handle. I cover both commercial and residential projects from Buckeye to Gold Canyon and North Phoenix to Casa Grande. One Source Interiors is a multi-faceted flooring company, which offers innovative ideas in design services for commercial, multi-family, custom home and residential clients. From concept to design, we specialize in the sales and installation of all interior finishes including all hardwood, laminate, carpet, tile and natural stone for floor and vertical surfaces (ie: showers, backsplashes, walls, etc.) and countertops (ie: granite, marble, Caesar stone, limestone, onyx, etc.). The One Source Flooring & Interiors Team is comprised of designers, field superintendents, project managers, and estimators. Each member brings with them a vast talent and experience in their respective area. Locally owned and operated out of Phoenix AZ, One Source Interiors is interested in building long-term mutually beneficial relationships with our clients. One Source Interiors takes pride in conducting business with integrity and an unparalleled dedication to providing the best quality and service in the industry. Flooring Fashions Inc. is a full service hardwood and laminate flooring contractor providing both residential and commercial services in the Gilbert, Chandler, San Tan, Scottsdale, Queen Creek, Tempe and Mesa areas.